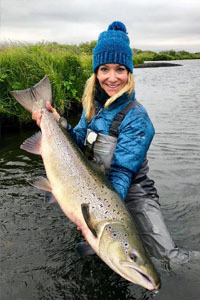 IGFA Representative Meredith Jane McCord caught and released this beautiful 9.52-kilogram (21-pound) Atlantic salmon (Salmo salar) on July 19, 2018 while fly fishing the Nes Beat in Iceland. If approved, the catch will become the new women's 8 kg (16 lb) tippet class world record. The current world record is vacant. Angler Reece Rockett potentially set two world records for red snapper while fishing out of Port Aransas, Texas on June 27, 2018. Weighing in at 7.25 kilograms (16 pounds) and 7.46 kilograms (16 pounds, 6 ounces) the catches could earn Rockett the new women’s 8 kg (16 lb) and 10 kg (20 lb) line class world records, respectively. The current world record in the women’s 8 kg (16 lb) category is 6.44 kilograms (14 pounds, 3 ounces) and the current world record in the women’s 10 kg (20 lb) line class category is 6.96 kilograms (15 pounds, 5 ounces). 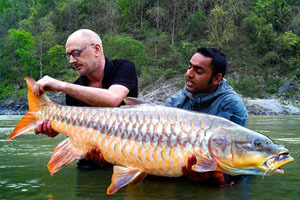 Hong Konger Chris Beale caught and released this potential new All-Tackle world record golden mahseer (Tor putitora) that weighed in at an impressive 34 kilograms (75 pounds). Beale was fishing the Mahakali River in Northern India with local guide Bobby Saptal on the morning of May 15, 2018 when the massive mahseer hit. After a 20 minute fight, Beale was able to land the fish which was quickly documented, weighed and released alive. 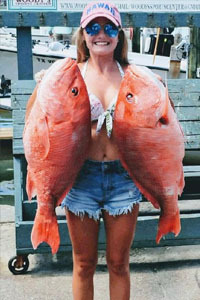 The current IGFA world record is 29.94 kilograms (66 pounds). Canadian angler Dale Loveless caught this giant 10.20-kilogram (22-pound, 8-ounce) Arctic char (Salvelinus alpinus) on July 1, 2018 while fly fishing a remote area of Nunavut, Canada. 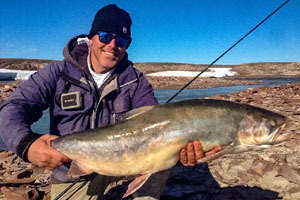 If approved, this catch would be the heaviest fly-caught Arctic char ever recorded by the IGFA. Aussie angler Dylan Picken caught and released this quality snapper (squirefish) on May 23, 2018 while fishing off Dawesville, Australia. 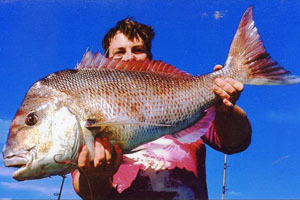 If approved, Picken’s 81 cm fish will become the new All-Tackle Length world record, which currently stands at 78 cm.